And all the curry lovers, please stand up! Truth: I shoved a jar of yellow curry paste in your face on a Wednesday morning and you didn’t even close the browser window on me. YOU ROCK. Today’s recipe (**dat yellow curry paste! **) is a lot of things. Scary. At least a tiny bit scary. Because it’s curry paste and it seems intimidating to make from scratch and it also just looks intimidating. I mean… it’s a straight up YELLOW PASTE. Hi. Not super friendly looking. Exciting, though, because I love curry and I know you love curry (otherwise how would you put up with my bajillion and one curry recipes? ), and as curry lovers, how exciting is it to think about us making delicious Thai yellow curry truly from scratch? It’s exciting. Friendly. I really worked hard to make this recipe accessible to the person who doesn’t like to go to more than one grocery store –> points to self <—. When I had my friends over for dinner club and we made that Thai Yellow Curry with Beef and Potatoes from scratch, I did the real official thing where I went and got a few ingredients from the Asian grocery store that is awesomely two miles from my house, but that was a special occasion, okay? I don’t like to do that in my regular life. Also: one of the ingredients I had to buy to make it authentic – that shrimp paste? – totally grossed me out. I know it’s the right thing to do for authentic curry paste, but I just… no. I just couldn’t do that again. So I re-made the curry paste (the version you’re seeing in this here recipe) using only ingredients that I could find at my local, mainstream grocery store. NO EXTRA TRIPS! If you do want to make the extra trip, good on you! You’ll be more authentic and wonderful (and you can use the curry paste recipe in this post). But for the rest of us – this is it! Regular grocery store ingredient yellow curry paste. Smart. What’s going to happen here is that you’re going to spend 45 minutes making this yellow curry paste (30 of which involve waiting for the garlic and shallots to roast, so hiiiii phone games) and after you put in the time to make this yellow curry paste, you will be giving yourself the gift of 4+ batches of homemade curry ready to go at a moment’s notice because this stuff can FREEZE, baby. Awyeah. Homemade Thai yellow curry on demand is a very, very good thing. And that’s that, my curry loving friends! Who even knew that this could be so do-able? When I first made curry officially from scratch for that dinner club beef and potato yellow curry, I thought to myself: this is awesome and I don’t think I will make it again because it takes so long. It was a three hour process (and more, including the time it took me to drive to the Asian grocery store and get the galangal and shrimp paste), and for me, that’s just not going to happen. But you guys – my love for curry runs deep. And after making it completely from scratch and realizing HOW GOOD IT CAN REALLY BE, I couldn’t not at least try to make it again, and maybe make it a little easier. And now? Look at me being all I Make My Own Yellow Curry Paste! Whaaaat. I plan to make a batch of this easier, time-saver, extremely yummy curry paste once every few months to keep feeding my yellow curry habits. I don’t know, we might be sort of obsessed. 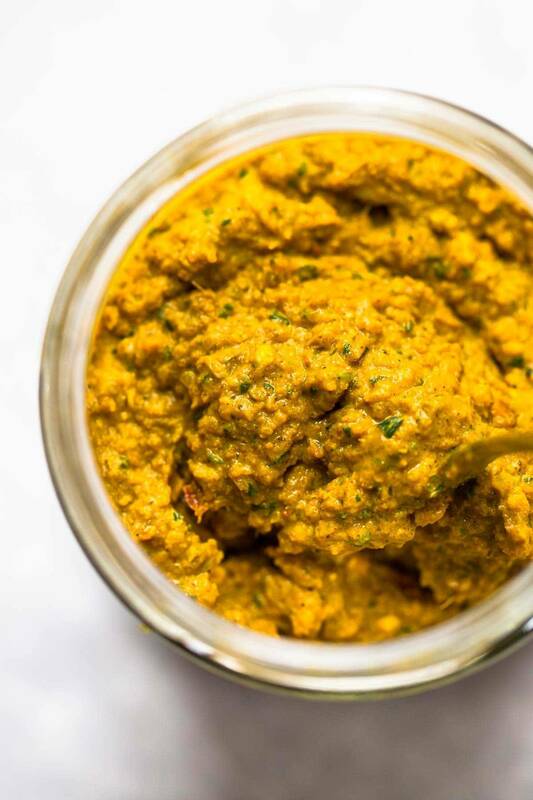 This Easy Homemade Yellow Curry Paste can be made with easy to find ingredients! 45 minutes = 4 batches of homemade curry. Prep the aromatics: Peel the shallots – then drizzle with oil and wrap in foil. Peel the ginger and cut into thin slices. Arrange in a single layer, drizzle with oil, and wrap in foil. Pull the outer paper off the garlic. Cut the pointy tops off the heads of garlic so the cloves are partially exposed. Drizzle with oil, and wrap each head of garlic in foil. 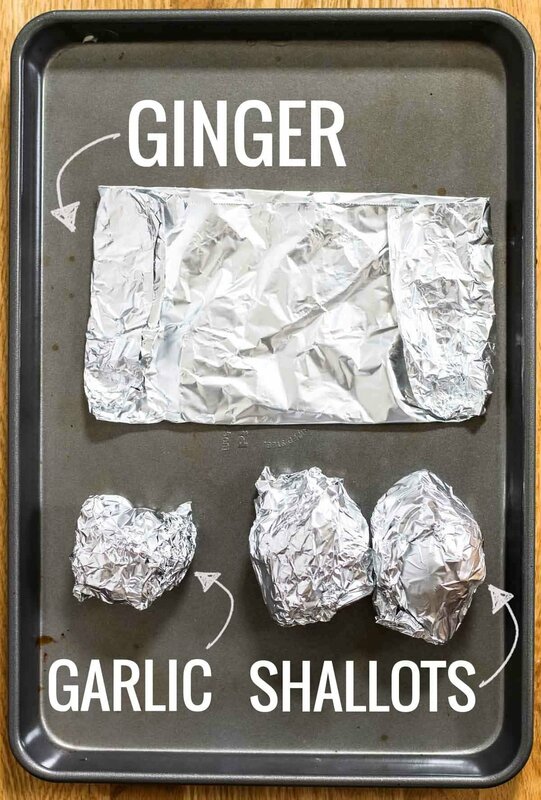 Bake the aromatics: Place all the foil packets on a baking sheet. Bake for 15 minutes. Remove the ginger (it should be soft), increase the temperature to 400, and roast the shallots and garlic for another 30 minutes until golden brown and very fragrant. When cooled, you can squeeze the garlic cloves out of the rest of the paper. Soak the chilis: While the aromatics are roasting, pour boiling water over the chili peppers to rehydrate them. Let them soak for 15 minutes. Drain the water. 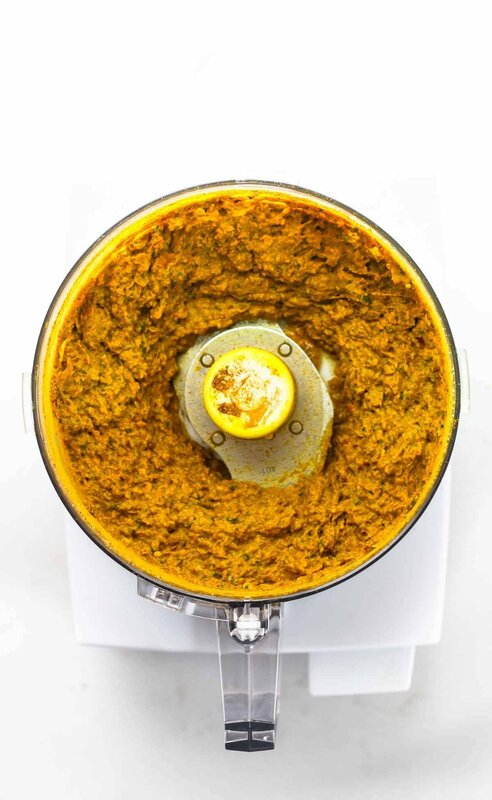 Make the paste: Put everything in a food processor or very strong blender. Pulse or puree until the yellow curry paste reaches your desired consistency. The recipe should make about 1 1/2 – 2 cups of curry paste, and I use about 1/3 cup or more in each of my yellow curry recipes, so usually I can get 4-5 batches of curry out of this yellow curry paste recipe. The paste keeps for about a week in the fridge and it freezes well! **The number of peppers will either make your curry paste mild or hot. The measurements for the spices can be played with a little bit, which is why the curry and turmeric are written as 2-3 tablespoons. I usually go for MORE spice, but if you don’t have enough of one thing, try adding a little more of something else to compensate. It’s definitely somewhat of a flexible recipe. For a more traditional Thai yellow curry paste that features a few harder-to-find but true to actual curry ingredients, check out THIS RECIPE. You can use less salt (1 1/2 tablespoons seems like a lot, I know), but you will likely need to add it in later when you make it into a curry – just remember this is divded into at least 4 batches with 4-6 servings per batch, so that salt gets distributed out pretty well. PS. I was on TV this week! More importantly: SAGE WAS ON TV THIS WEEK! I sort of forgot to tell you because I was too busy feeding my nervousness with too many ultra thick and soft chocolate chip cookies. But I survived! and I managed to talk about food photography hacks and show off the magic green sauce and inner goddess truffles without making anyone too uncomfortable. Win? If you want to see more pictures of the day and/or the actual clip itself, join us in our private VIP Facebook group for the bestest of the best Pinch of Yum readers. 👍 You request to join, I’ll add you, and the fun times will rolllll. Curry is one of my favorite things but I have never thought to make my own curry paste! Thanks for sharing! Thank you! Congrats on the show! So glad you enjoyed this, Rebecca! Thanks for the comment! Brilliant curry paste recipe. It takes a bit of time, but so worth it! Well, I didn’t flinch at you not posting Curry post because I didn’t think you could make it at home either. But I am glad you left out the shrimp paste from the Asian store. Ewww. I couldn’t do that either! We have a nifty Asian store near us, and visit for fun, we just cross our fingers and pray our kids don’t break too many bottles of shrimp paste. I love that you made this curry paste with accessible ingredients, I definitely hate making extra trips to specialty shops, especially since there aren’t really any near me. Thanks! This looks so flavorful and delicious! There’s nothing better than a fresh homemade sauce! I agree – I LOVE homemade sauces. WHOA WHOA WHOA, making your own curry paste? WHO ARE YOU? And…how do I become you? Oh, with this recipe you say? I AM IN. Totally love this Lindsay! And so fun about the TV segment! Thanks Taylor! I don’t even know myself anymore. But I could get used to this new lifestyle. This looks incredible! I’ve always been really intimidated by cooking curries, but this recipe is really making me want to venture out of my comfort zone! I love ethnic food, so being able to try my hand at it at home would be wonderful! It had always been a bucket list cooking thing for me to try to make my own curry from scratch – so so excited that I’ve actually done it a handful of times now! OH MY. Hellllo easy yellow curry paste recipe. I remember my first Thai cooking adventure. Ended in tears and me running around to 4 diff stores to find all the stuff I needed. Love that you made this all mainstream grocery store friendly. Go you! This is amazing! I always thought making my own curry paste would be difficult, time consuming and expensive, but this sounds so doable! I’m a huge red curry fan, so I’m jazzed to try this! Thanks for the creativity and congrats on your TV spot! Yay! Thanks Sydney! I’m hoping to play around with red and green curry pastes next! Lindsay, if you hadn’t already reached complete ROCK STAR status, you have now! Between easy one grocery store, freezable homemade curry (YESSSS!!!!!) and your calm, cool, collected TV self – you are such an inspiration! 🙂 Can’t wait to stock my freezer with this awesomeness! Thank you for sharing this. This will be an end to getting store bought one. I love using yellow curry for my chicken satay. 🙂 Congrats on the TV spot. This recipe has been out there awhile by the looks of the 2015 posts, but I just found it while searching for a homemade yellow curry sauce. I bought one in a jar as a simmering sauce at Trader Joe’s but since I’m vegan, I found out it has milk and other ingredients I’d rather not have. You don’t say what to do with this paste–do you add 1/4 or 1/5 of the recipe to a can of coconut milk I assume? Thanks Medha! hope you like it! I love to make my own condiments, marinara sauce and now I can add curry paste to the list! I finally learned how to make several of my favorite Indian dishes but always used storebought curry paste. Really looking forward to making this! Thank you :)! That looks delicious!! I also love how easy it sounds to make it. Will definitely be making this soon. Homemade condiments and sauces rock!!! Agreed! I’m on a total kick right now! This is a WONDERFUL recipe! Curry paste is something that I’ve always wanted to experiment with, but I’ve always backed down because I’m not exactly sure how to use it. 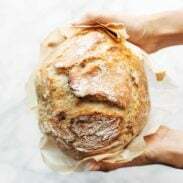 This recipe looks so simple – I can’t wait to give it a try! Pinned! Awesome job making the curry and thank you for sharing the recipe. Congratulations on your TV segment! I love having sauces on hand in the freezer! It makes life so easy sometimes! You could literally put any seasonal veggie over rice and enjoy this sauce on top! Looking forward to freezing up a batch! Aw, you’re too much. Thanks Lynsey! I agree that shrimp paste is rather gross, but that other curry paste is soooo good! I can’t remember if I have left-overs from making that curry paste (other than chopped up lemon grass, frozen galangal and shrimp paste). I could easily make that one again, but I’ll probably try this one when I see the chicken curry recipe. I’m a sucker for Thai food. So glad you like to post Thai curry recipes!! haha – yes, and so glad my readers like curry, too! 🙂 I love that you actually made the original, Susan – it goes to show that I should post recipes, no matter how intense or complicated I might think they are! People will make them! 🙂 Seriously makes me so happy. Oooh congrats on the TV gig – how exciting! Meanwhile, I am excited about this yellow curry paste. I love making curries at home because they are so rewarding to cook, so fragrant and flavoursome. 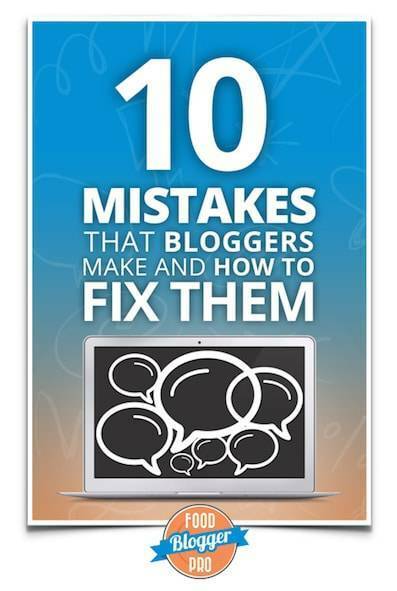 I look forward to trying this! Thanks Jessica! I hope you like it! Congrats on the TV exposure! How exciting!! And I am so super impressed with this curry paste. I only recently discovered my love of curry (the horror, I know! But I grew up down south all BBQ, baked beans and peach cobbler and those roots run deep so it took a minute to expand those food horizons) I’m now completely obsessed with curry and sweet potatoes and now am definitely going to be incorporating this beautiful paste! Thanks so much! Oh my gosh, you’re too funny! I hope you like this one Samantha! 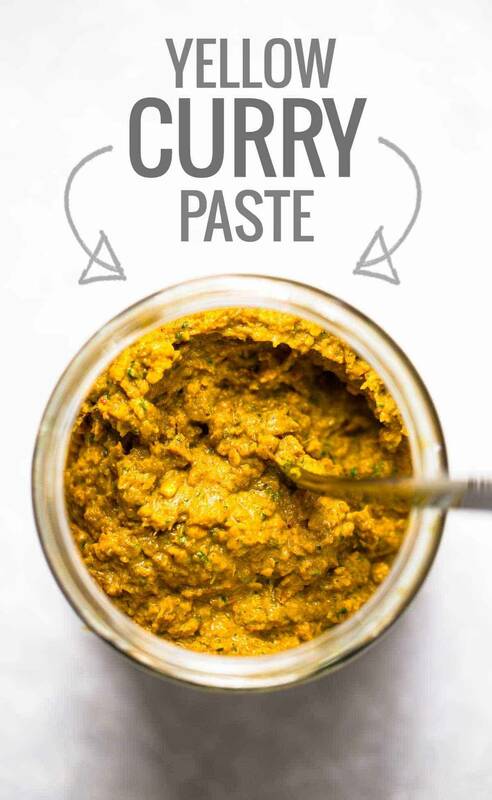 I love how you showed us how to make our own curry paste! 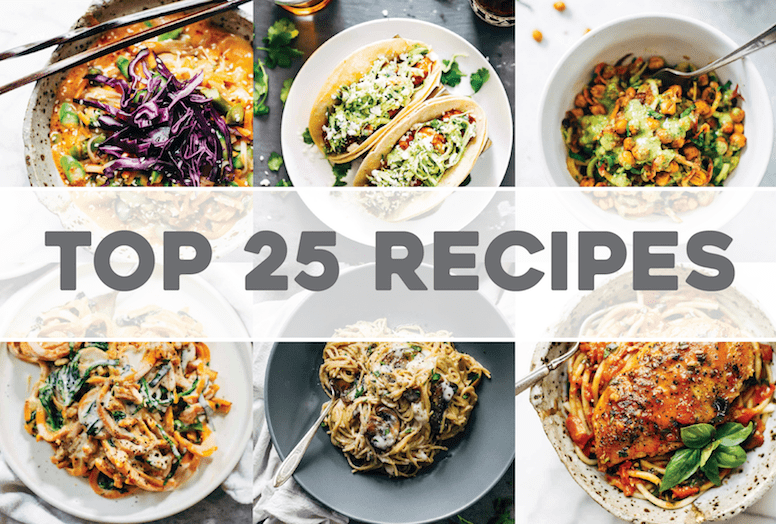 I see recipes that call for it all the time so I could definitely use it! Thanks Shelby! hope you get a chance to try it – it’s yummmmms!